GAA president John Horan has insisted the Association is not “shooting itself in the foot” by hiking ticket prices at a time when attendances are coming under pressure in certain competitions. The GAA’s Central Council approved a raft of increases at the weekend designed to generate income for club development which, Horan says, will increase by €1m euro over the next two years. But he accepted it could have an impact on attendances. “If the economy keeps on going the way it is, I don’t think it’ll be an issue. If the economy takes a downturn, well it may impact on it. “Anyone running a business and having a product (when) you go for a price increase, you’ll always have to take it on board that there’s the law of diminishing returns, that if you up the price, you may diminish your sales. Horan also revealed that there will be no rise in central gate receipt revenue for 2018 when the annual accounts are published next month despite the addition of eight extra All-Ireland quarter-finals. That comes amid a €1.15m hike in gate revenues reported by the Munster Council on the back of a new-look provincial hurling championship featuring seven more games, with total intake from the turnstiles rising to €5.51m. “Everyone accused us last year of increasing the number of games that were being played because we were all revenue-driven but that didn’t happen. We didn’t increase our revenues from it,” said Horan. “Nobody who wrote or commented or accused us of doing it for that reason (financial) is going to turn around and say ‘I got that slightly wrong’. 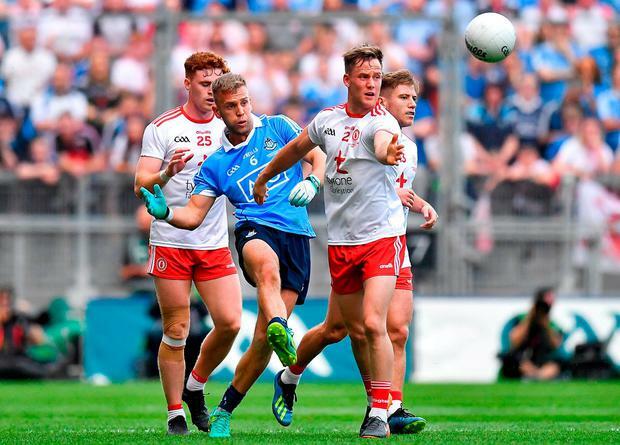 “Two reasons for that (no revenue rise), I would say, were the amount of games happening in such quick succession, it just didn’t fit in with family budgets going to two All-Ireland semi-finals in the one weekend. “And the other reason was, we gave up the month of September to clubs and people were away on holidays (August) and that impacted on it a lot,” he suggested. “If you look at it from 2011, when would the next increase happen? It probably would happen for another eight to 10 years so, on that basis, you’ll have had one increase in a period of nearly 20 years. I don’t think that’s unreasonable. While football gate receipts were up by three per cent in Munster, hurling attendances went from €127,995 to €249,263. It was the province’s highest ever figure and helped to bring in €5.51m, up from €4.36m in 2017. The GAA redistributes all of the revenue from the Allianz leagues back to the counties once ground rental (10pc), match day costs (10pc), insurance fund (5pc) injured players fund (6pc) and contribution to lower division counties who don’t generate enough to cover expenses (20pc, rising to 30pc in the concluding stages) is covered, resulting in just under 50pct. With regard to a €10 increase in the cost of an All-Ireland final ticket, Horan said it compared “favourably” to other similar sporting events.